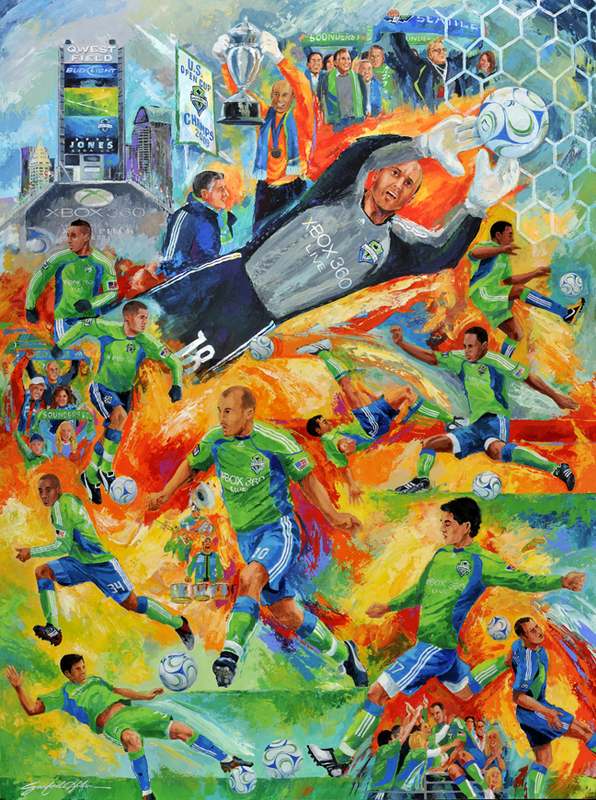 Sanford Holien’s historic tribute to the enthralling inaugural season of MLS Soccer in Seattle. Limited to 500 personally autographed lithographs, plus 100 artist proofs and 150 player proofs. Each full color print bears an original pencil-signed autograph from Kasey Keller. Artist signed and numbered with a Certificate of Authenticity.